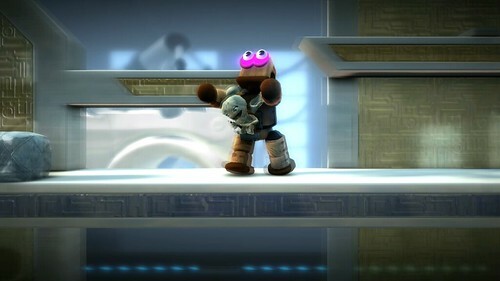 We've gone through the effort of breaking down the newly released announcement trailer for LittleBigPlanet 2, frame by delicious frame. We used the raw 720p video to grab screenshots from, then went through each of the sixty (yes, sixty) notable screenshots and hand-captioned them. The result is a terrifyingly in-depth analysis of the video that was released earlier this morning, an analysis that will probably reveal quite a few things to you about LittleBigPlanet 2 that you hadn't noticed before. We suggest beginning with the very first screenshot and moving in order, so that you absorb the information in the same order as it is shown in the video. In any case, enjoy!